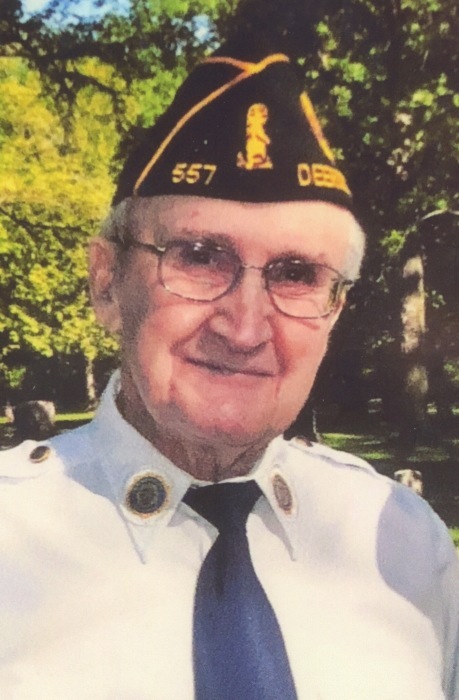 Robert John Loehlein age 93 of Crosby died on February 22, 2019 at Heartwood Senior Living in Crosby. He was born on September 5, 1925 in St. Cloud to Frank and Helen (Gresser) Loehlein. Bob was a WWII Marine Corp veteran. He married Deloris (Gilliver) on May 13, 1946 in St. Cloud. A retired NSP employee with 40 years of service. Bob was a member of the Walter Scott Erickson American Legion Post #557 of Deerwood. Bob is survived by two daughters, Jean (Richard) Rajacich of Loretto Bay, Mexico and Mary (Kim) Vahlsing of Princeton; one sister, Monica Larson of San Diego, CA; two grandchildren and three great grandchildren. Preceding Bob in death are his parents, his wife, Deloris; one son Robert Loehlein Jr.; one brother, Harold Loehlein and one sister, Marge Karnes. Graveside services will be 11:00 a.m. on Monday, April 8, 2019 at the Scandia Cemetery in Deerwood with full military honors. A memorial gathering will follow at the Deerwood American Legion. If desired memorials are preferred to the Walter Scott Erickson American Legion #557. Arrangements are with the Koop Funeral Home in Crosby.